Home / Babson / Newsflash: Babson College is gapingvoid's latest client. Newsflash: Babson College is gapingvoid's latest client. 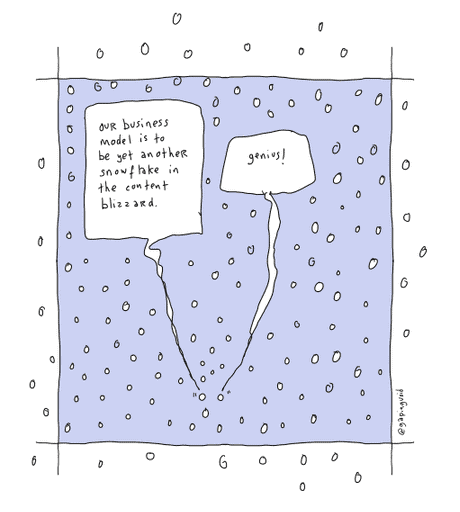 So gapingvoid has a new client: Babson College. 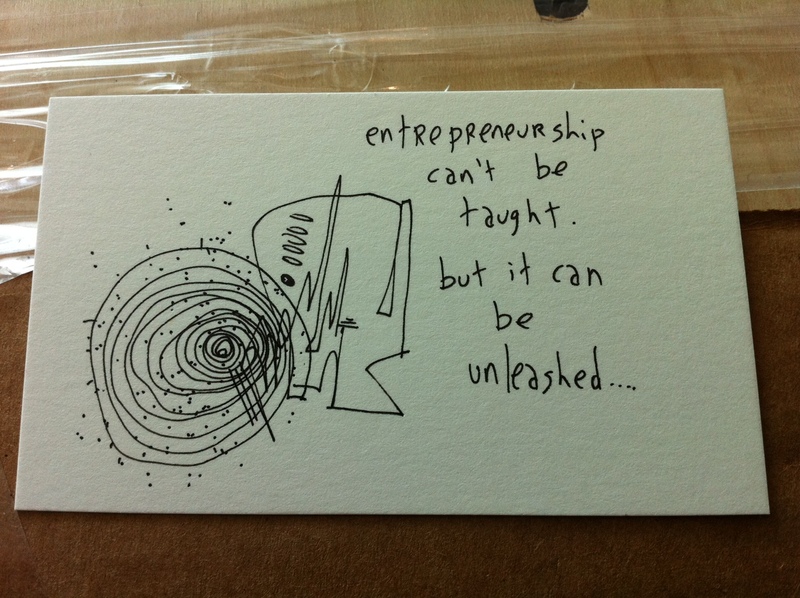 Or to put it another way: gapingvoid is now the oficial cartoonist for Babson College. The college president, Len Schlesinger is an interesting guy. He has divided his career pretty equally in both academia and commerce. Over the years, the two have informed the other. Click on his link and see for yourself, he has gotten plenty of kudos in both worlds. He was a professor at Harvard Business School and a CEO of a well known company (i.e. the parent company of Victoria’s Secret). Very few people are so informed by the limitations of both, and also their lack of limitations. He is also pretty much the biggest collector of gapingvoid prints that we have. His walls are absolutely covered with them. He was collecting them like baseball cards. So there was an pre-existing alignment there. We met for Chinese food the last time I was in New York and hatched an “Evil Plan“. Good times. This is such an obvious gig for gapingvoid, I cannot tell you. There are so many threads worth riffing on, I canot tell you. Education and entrepreneurship are BOTH rich, deep veins. OF COURSE they are. It’s amazing how this fits with a trend I’ve been noticing lately: When Jason (my business partner) and I talk to people in business who use the cartoons, it is always about the same thing: It helps them lead their organizations. Communicate better, and tell stories that they feel people should be reminded of. Around the office, we’ve become fond of saying that the work helps leaders lead. I am TRULY honored that someone of Len’s stature is able to use my work to lead his business. 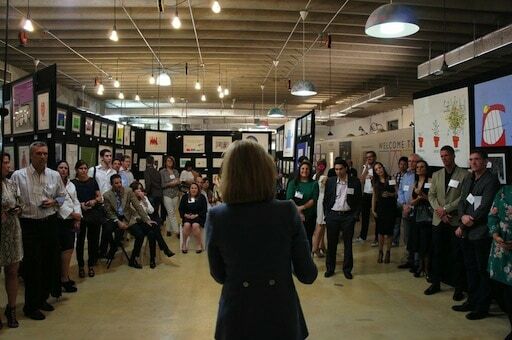 Art with purpose, it’s why gapingvid does what it does. OK, I’m ready to rock out. Next steps: Anyone got any ideas where to start? I have a few thoughts myself, of course, but please feel free to share, either by email or by leaving comments below, thanks. Let the aventure begin! w00t!!! Wow, so happy to hear this Hugh. I’m biased because I went to Babson but I’ve always felt they had an innovative approach to education in the face of the Ivy League Goliaths in their backyard. Congrats – seems like a perfect pairing indeed. I do not know if this type of venue is available – like comments expressly the opinions of the poster? I have site, want to bitchv about sophistic spamming and how to avoid/ prosecute offenders/ businesses. Not how to spam, more like the latest spam/ fishing exploitation tracking & reporting on bad web sites. It’s great knowing you’ll help drag Babson into the 21st century kicking & screaming; most women can’t attend their “pioneering” Center for Women’s Leadership. They’re already successful in the workforce, have a family, or otherwise can’t relocate to a Wellesley Country Club. Breakdown their stiff foundation, unleash a storm of innovation. Throw them into the Gaping Void. One of my brightest friends went to Babson. He gets mediocrity in business education. Extrapolate that to life as a result of your approach to education.